Planning consultant, Brian Barden, retired this week after being involved in planning within Cumbria for 47 years. Starting out in 1968 with the former Westmorland Council, Brian’s career in the County took him to Eden District Council and the Lake District National Park Authority before setting up his own practice from Kendal town centre in 1986. In 2011 Barden Planning was acquired by Lancashire based Steven Abbott Associates LLP (SAA) who retained Brian as a consultant on its many Cumbrian residential and commercial projects. 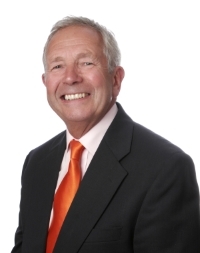 A well-known figure to many involved in planning and development across the region, Brian has worked across a breadth of projects during his career, including housing, retail, agriculture and tourism, as well as assisting many private clients. His contribution to planning – particularly in the Lake District – was warmly acknowledged by Steven Abbott at Brian’s send-off last week at the Hawkshead Brewery in Staveley, which was attended by clients and colleagues from across the region’s planning industry. Brian’s place with Steven Abbott Associates has been filled by Andrew Tait, who joined the consultancy from the Cairngorms National Park Authority two years ago to transition and grow SAA’s presence in Cumbria from its base in Kendal. Having worked with Brian for two years Andrew is already well known to the practice’s clients in the area and has a strong understanding of the unique sensitivities surrounding planning in the region.